SOLIDS Kraków 2015 (SyMas) is the fifth show of the Solids European Series and will take place in Krakau, Poland on the 6th and 7th of October. Located in the southern part of Poland, SyMas will draw visitors from the mining and metalworking towns in Silesia as well as from the industrial centres of Czech Republic and Slovakia. Using the success formula of the Solids European Series, SyMas will focus on show content and networking opportunities. At the show latest innovations and trends are shared through seminars and workshops, providing important professional platforms for networking and strengthening business contacts. Russell Finex, manufacturer of high quality separation equipment, take this opportunity to introduce their vibratory sieves and separators to the Central European market. 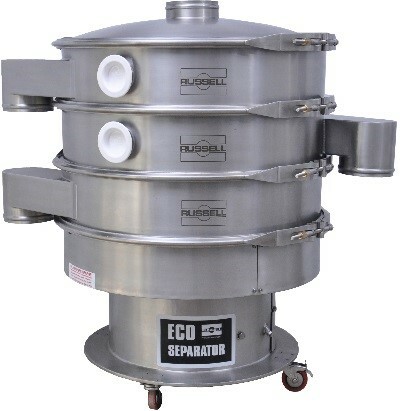 At the show Russell Finex will display the Russell Compact 3in1 Sieve™ and the Russell Eco Separator®. These two machines are ideal to process bulk material such as powders and granules. Incoming materials often need to be sieved before entering the production process. When they are supplied in bags the Russell Compact 3in1 Sieve™, a bag sieving and tipping station, is ideal for safety sieving hand fed materials. This vibratory screener combines the following three features: an ergonomic tipping platform, a magnetic separator and high capacity check screener, to remove oversize contamination while allowing low-level back emptying. 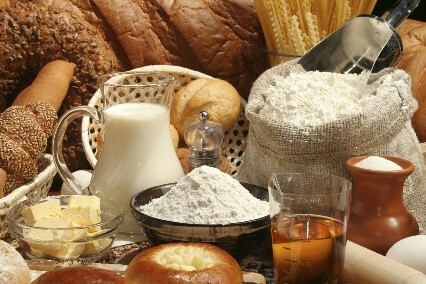 This machine has often been used to check-screen flour, a raw ingredient which often comes in bags. Watch a demonstration video showing the Russell Compact 3in1 Sieve™ in action. If you need to grade powders or granules with a maximum throughput and high accuracy, the Russell Eco Separator® is the cost effective solution you are looking for. This gyratory sifter can be installed with up to 4 sieve decks, enabling you to a screen product on up to five fractions in one single operation. The model sizes of the Russell Eco Separator® range from 600mm up to 2m, offering you the right size based on your throughput requirements. Visit Russell Finex at SyMas where a 30” Russell Eco Separator® will be on display and shown in full operation. Do you need to discuss specific screening applications or want to speak directly to a team of experienced sales engineers? Visit Russell Finex at Symas at Stand B21 and benefit from their 80 years of experience in providing solutions for numerous sieving and separation applications.